DAYTONA BEACH, Florida (Jan. 23, 2018) – Seasons like the one enjoyed in 2017 by the No. 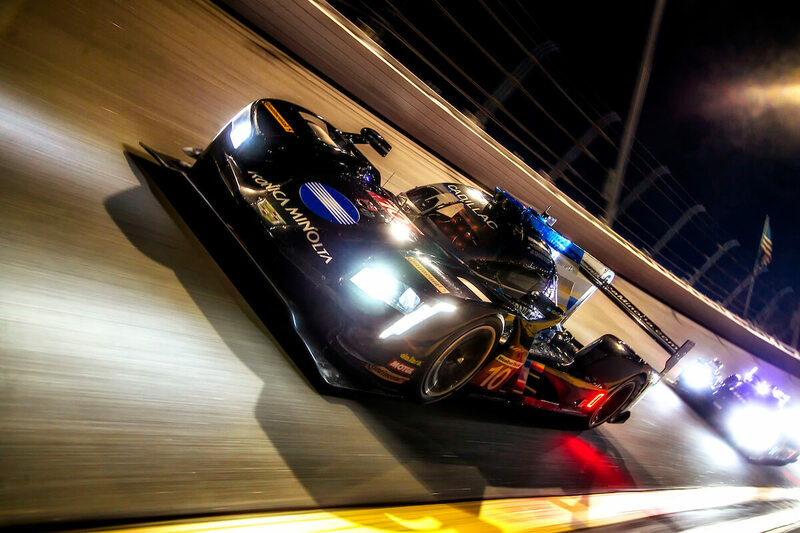 10 Konica Minolta Cadillac DPi-V.R team on the IMSA WeatherTech SportsCar Championship tour are certainly few and far between, but when Jordan Taylor, Renger van der Zande and Ryan Hunter-Reay take to the wheel of their sleek, black Prototype-class entry for this weekend’s 56th running of the Rolex 24 At Daytona, it’s time to wipe the slate clean and try to do it all over again. 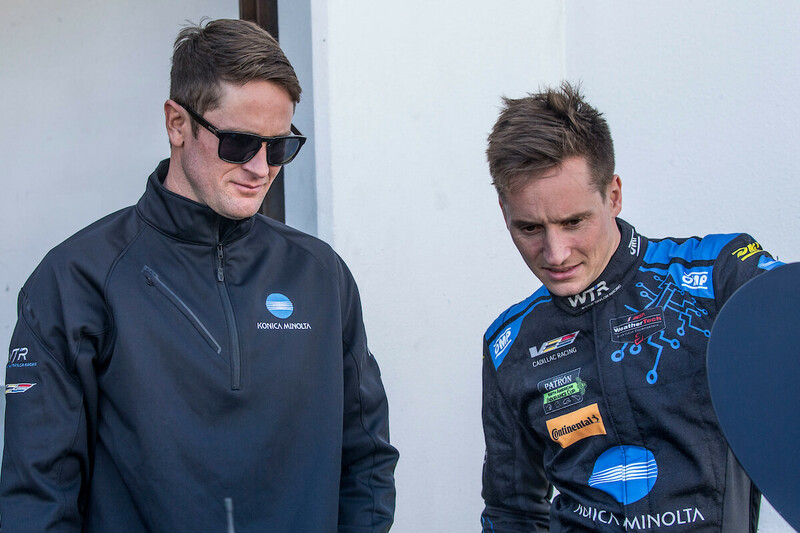 A lot has changed since Taylor and his older brother Ricky Taylor co-drove to a thrilling victory in last year’s Rolex 24 alongside now-retired Italian veteran Max “The Ax” Angelelli and four-time NASCAR Cup Series champion Jeff Gordon, kicking off an unbelievable five-race winning streak that led to the season-ending driver and team championships. But the race team has returned intact, and the addition to the driver lineup of van der Zande, the Dutch driving phenom, and Hunter-Reay, the 2012 IndyCar Series champion and 2014 Indy 500 winner, will go a long way toward offsetting the offseason departure of Ricky Taylor to the new, two-car Team Penske Prototype-class entry for 2018. The No. 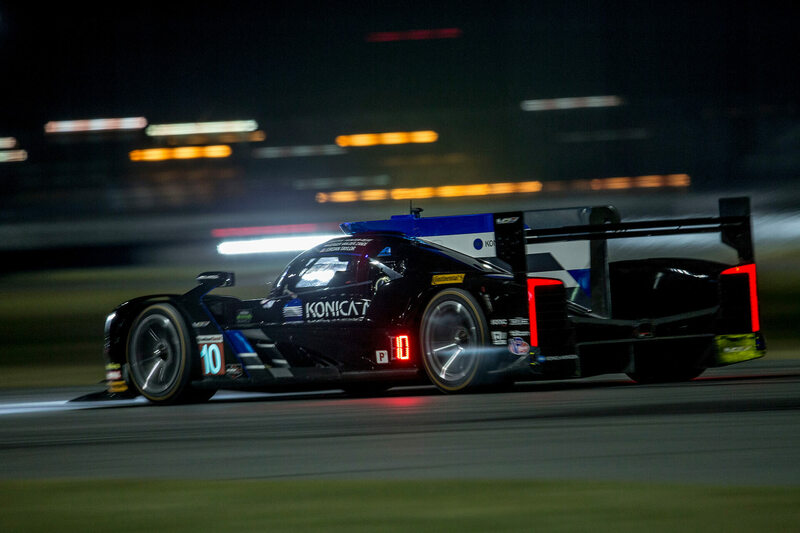 10 Konica Minolta Cadillac DPi-V.R team has been the most consistent at the iconic Daytona race the past five seasons, bringing home race-day finishes of second, second, third and second in the four years leading up to last year’s career-first Rolex 24 victory for the Taylor brothers and Gordon, and the second for Angelelli. The No. 10 has been a fixture atop the Daytona (Fla.) International Speedway leaderboard with 963 laps led in the 3,539 laps contested over the 3.56-mile, 12-turn road course in that time and, most importantly, has managed to avoid major on-track incidents and mechanical maladies along the way. This weekend, it’s expected to take more of the same, and then some, to successfully defend the team’s Rolex 24 title as the beefiest Prototype-class field in recent memory takes to the track among the 50-car field – 20 Prototypes in all featuring the new Team Penske and Mazda Team Joest, as well as scores of elite international drivers headlined by Formula One star Fernando Alonso. Jordan Taylor is certainly up to the task, as is the team that has propelled him and his older brother to 12 wins, 25 podium finishes and nine pole positions over the last four seasons. 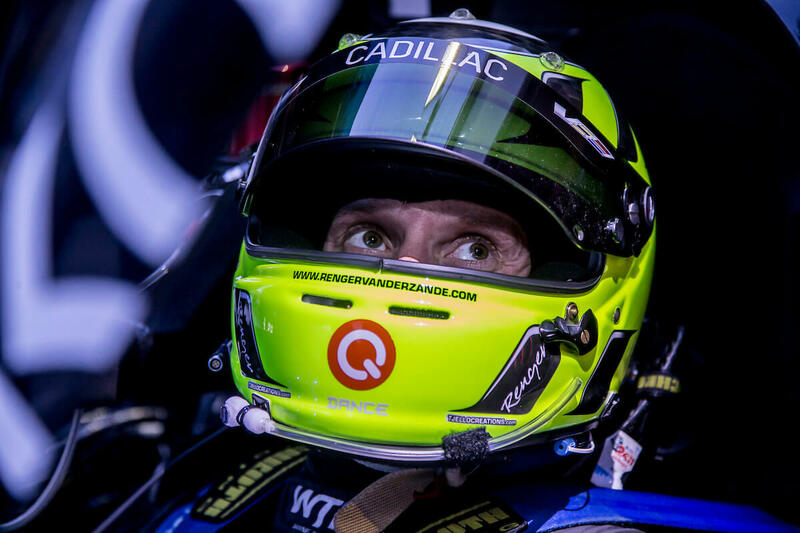 The addition of van der Zande, his new full-time co-driver for 2018, brings a steady but daring driving talent who last fall turned heads with a stunning pass through the famed Corkscrew series of turns at Laguna Seca Raceway in Monterey, California that led to the race win for the No. 90 Spirit of Daytona team. It was a pass that has been likened to “The Pass” that the legendary Alex Zanardi executed at the same part of the same racetrack for the last-lap victory in the 1996 IndyCar Series finale. 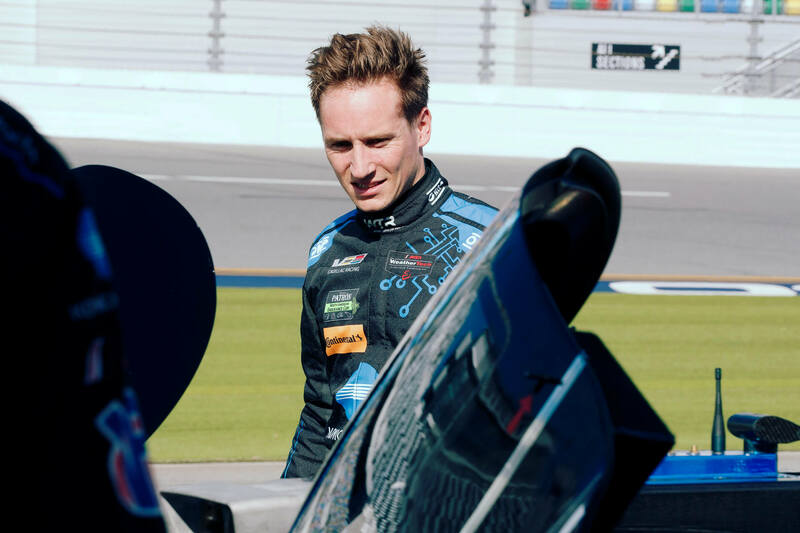 Hunter-Reay, meanwhile, will be the third driver at this season’s endurance events at Daytona, Sebring, Florida, and Road Atlanta, and returns for his 12th Rolex 24 and fourth career event with the No. 10 team, highlighted by his runner-up finish in the 2013 Rolex 24 with Taylor and Angelelli. Duplicating last season’s incredible success by the No. 10 Konica Minolta Cadillac DPi-V.R team is certainly a tall order. Just getting through an iconic test of endurance like the Rolex 24 unscathed is difficult enough, much less any other weekend on the challenging IMSA WeatherTech series tour. But, safe to say, based on their team’s recent history at the Rolex 24, it likely would surprise no one if Taylor, van der Zande and Hunter-Reay are fighting tooth and nail for this year’s race win once again. “It’s great to be with this team. It’s been five years since I started to race in America halfway through 2013 – did three full seasons in the LMPC class, one season last year in the Prototype class – it’s nice to be in the top class and making the jump to a championship-winning team with Wayne Taylor. So that’s a great thing. There’s a great manufacturer in Cadillac behind us and, as a racecar driver, it’s always important – I think it should be a goal – to be linked to a manufacturer. So, for me, it’s all been good news. My first tastes in the car have been very nice – it’s a very nice environment and a very nice car. I have some good teammates with me so we’ll be ready to pick up the fight. From my personal view, after racing with a lot of teams here in the States the last few years, it’s clear why this team is so successful. If you meet the engineers, what they are doing all day, looking at all the little details, even looking at the sports physiology of us as racing drivers and all those other details I have not seen from other teams at all, it makes sense that they won the championship last year. Of course, they got off to such an incredible start last year, especially at Daytona – I was racing against them and it appeared to be serious business but fun for them. It was fun for us, too, especially at Daytona. But I think now the important part is that I’m with people who know what they are doing and they know how to cope with pressure and they know what it takes to win races and the championship. I’m just happy to be part of a group of people like that.